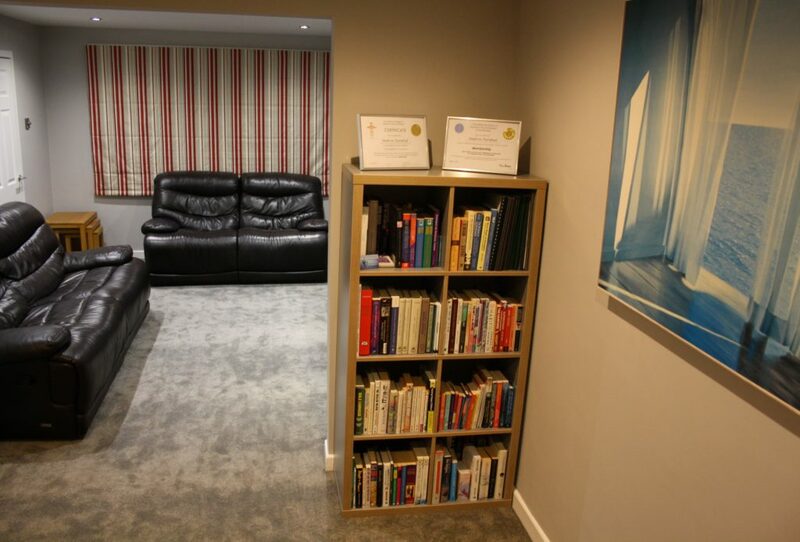 Since graduating in 1996 in a hypnotherapy-related degree, my qualifications, training and experience have been solely focused on therapy and education. Cheadle Therapy is the culmination of 30 years of understanding and guiding people to resolve a wide range of mental health issues. I combine hypnotherapy, a range of psychotherapeutic approaches and Neuro Linguistic Programming, in consultation with each individual client. BA (Hons) Applied Human Communication. After graduation, I coached 6th form students to resolve their personal, motivational or academic issues. As a result, my retention initiative significantly reduced the student drop-out rate. Post Graduate Certificate in Education (PGCE) with Qualified Teacher Status for 11-18yr olds and adults: Social Sciences. I taught A Level Sociology, Psychology, Politics, Philosophy and a range of other courses to Sixth Form students (Criminology, Public Services). I also taught adults to gain the Health Studies and Sociology qualifications they required for University level study. In addition to being a qualified therapist, I have been a Master Practitioner in Neuro Linguistic Programming (NLP) since 2000. I trained with ExcellenceforAll, the first NLP training offered in North-West England. They are certified by INLPTA, the International NLP Trainer’s Association. Certificate in Hypno-Psychotherapy (National College) with Distinction. I have subsequently attended a series of further psychotherapy weekends at Diploma level after achieving the CHP(NC). I practice as an Integrative, Solution-Focused therapist. This means I have studied several different branches of psychotherapy and hypnotherapy. I have been trained in Ericksonian Hypnotherapy, Hypno-Psychotherapy, Hypno-analysis, NLP, Solution-Focused Hypnotherapy and Time Line Therapy. These are explained in the Hypnotherapy Directory. CNHC accredited and registered member. The Complementary & Natural Healthcare Council (CNHC) was set up by the government to protect the public by providing a UK register of professionally trained and fully insured healthcare professionals. Beilby Award Winner (2017): National College of Hypnosis & Psychotherapy. In 2017, I was delighted to be invited to manage the various counselling projects as Interim Adult Services Manager at Beacon Counselling’s new premises in Stockport and work with a great team of Counsellors, fellow managers and staff. In 2018, I have been approached to work with the Vice Principal of the National College for Hypno-Psychotherapy next year to combine my therapy and teaching background to rewrite the teaching materials for the Stage 1, 2 and 3 courses nationally.